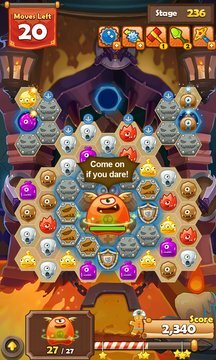 Published by PlayDog Soft Inc.
Monster Busters: Hexa Blast is a brilliant puzzle game of familiar match 3 style with hexagonal twist. 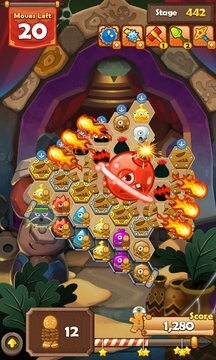 Match three or more of same colored monsters to defeat them and save Gingerbread friends on a board composed of hexagons. Different types of missions, various enemies, and challenging boss fights will make the experience even more interesting and rewarding. Explore the Monster Tower and discover mysterious passages leading to secret worlds. Play the game with your friends to share the entertaining fun! Begin your adventure now to defeat bad monsters and save Gingerbread friends!